In this wickedly funny guide, professional astrologer Hazel Dixon-Cooper casts off sugar-coated astrology in favor of exploring the maladjusted side of the universe. If you want the inside scoop, the real deal, the lowdown on each sun sign, then look no further. Irreverent, biting, and laugh-out-loud funny, Born on a Rotten Day exaggerates the bad, exorcises the good, and puts a new spin on the age-old question -- what's your sign? Jonathan Cainer Britain's No. 1 newspaper astrologer It made me laugh. Suzanne White novelist and creator of The New Astrology Dixon-Cooper reveals what every astrologer knows but none has ever dared say. 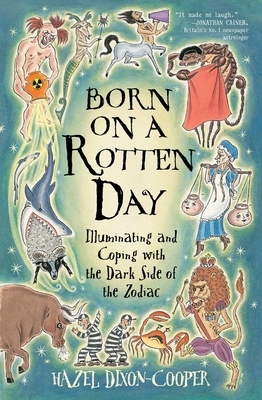 Born on a Rotten Day takes us on a seriously humorous ride through the land of truth and consequences. I highly recommend it to anyone who has chosen to go on living and prefers to do so intelligently. Matthew Abergel author of Gay Stars and Work Your Stars Most astrologers accentuate the positive too much. Not Dixon-Cooper. Funnier and franker than your best friend after three drinks, she reveals the black holes among the stars.